This Fall, Brown Bag is very pleased to introduce a new line of Classic Cookie Stamps, 3” tall fluted beauties that press out 3” cookies. Decorated with Santa’s smiling face, a Christmas Tree, a Snowflake, or with a tiny Reindeer, leaping across a wintry sky. 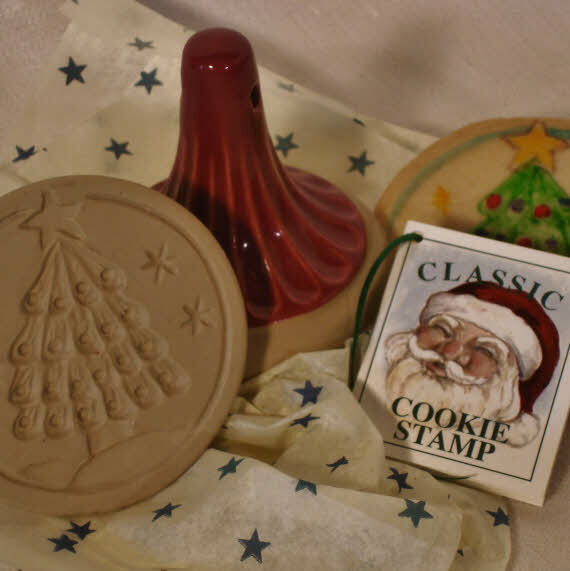 All Classic Cookie Stamps are made in America from high-fired stoneware. They are 100% lead free, and are oven, microwave and dishwasher safe. Each comes with an instruction and recipe booklet with 5 delicious recipes and directions for making ice cream sandwiches. Check our “Retail Locations” to locate a retailer near you. Roll unchilled dough into 1 ½” – 1 ¾” balls, dust each ball lightly with flour and place 4” apart on an un-greased baking sheet. 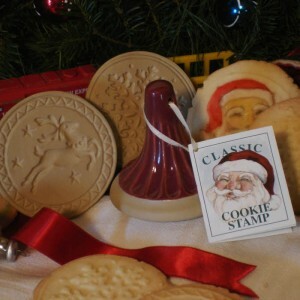 Stamp each ball with your Classic Cookie Stamp, being careful to press down evenly. You can vary the thickness of your cookies according to how much dough you use and how hard you press. Bake on the top shelf in a 350° oven until lightly browned; start checking after 12 minutes. Note: Do NOT oil your cookie stamp. If you are having trouble with sticking, lightly dust the stamp base with flour, then tap to remove excess and stamp. Wash your Classic Cookie Stamp in hot soapy water or in the dishwasher. 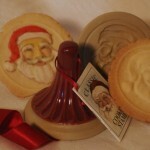 Ring in the Holidays this year with homemade cookies made using our handcrafted Santa Cookie Stamp. These cookies will bring a smile to faces, young and old, as they celebrate the season. If you would like to “paint” Santa’s face with edible food coloring, check out the instructions for Painted Cookies in the “New Idea Book”. 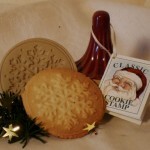 Create delicious and memorable Holiday cookies using our handcrafted Christmas Tree Cookie Stamp. 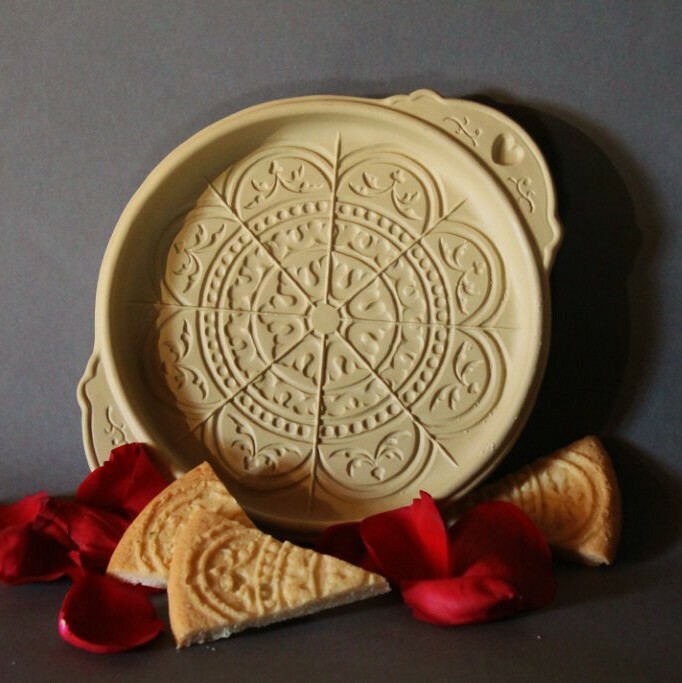 It’s easy to press this classic design into unbaked dough to make truly extraordinary treats that are beautiful just as they come from the oven. Or you can embellish them still further, as your heart desires. 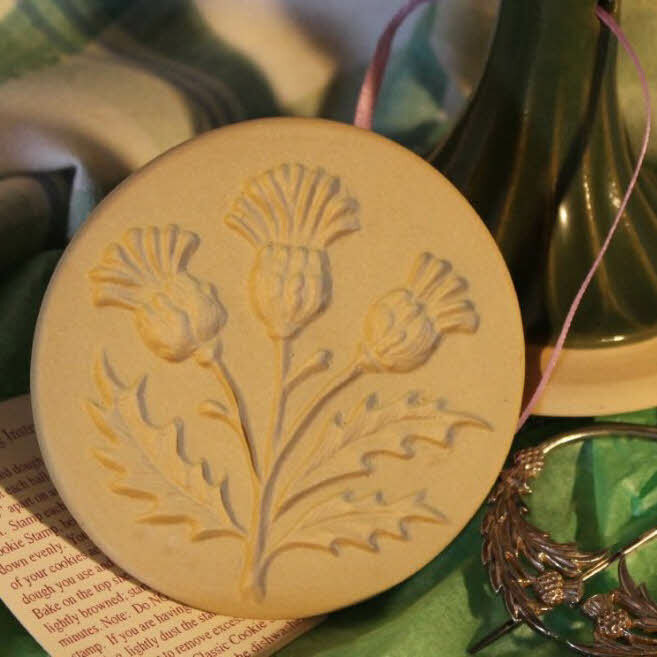 Delight family and friends with Snowflake cookies made using our stoneware cookie stamp. You can add sparkle with a few extra sugar crystals. Better yet, make extraordinary ice cream sandwiches with whatever combination of cookie and ice cream flavors you want. The recipe booklet with each stamp tells you how. A tiny reindeer leaps across the winter sky to deliver Christmas joy. 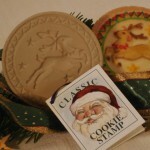 Family and friends will be delighted with cookies made using our handcrafted Reindeer Cookie Stamp. Delicious, memorable, and very special… that’s what Brown Bag cookies are all about. We look forward to celebrating the season with you. I am looking for the tiny round reindeer mold. Can I purchase from you directly. I have several brown bag molds I’ve acquired over the years, and now they seem so difficult to find. Any help or suggestions would be greatly appreciated. I am located in upstate N.Y. Is there any way I could order by mail? Try the Bakers Catalog from King Arthur Flour.You’ll need to go on line, but I think they should have some Reindeer Pans. I know they carried them in their retail store, and I think they have them on their website. sweetnfancy.com would be another place to check. 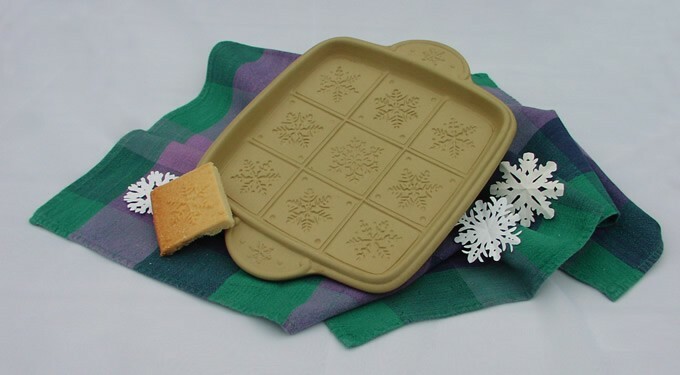 I had been looking for a shortbread pan like yours for years. I finally found them in the Lee Valley catalogue. I have the snowflake one and the thistle one. I love them both. Thank you, Florence. Lovely work, as always! I’d really like to get some of these but I can’t get your international/mail order page to show at the moment, are you able to advise any stockist that will ship overseas (to New Zealand)? Thanks in advance. If you go to the “Find A Store” tab on the website and click on the “Catalog, Web, and Mail Order Only Stores” button, you will see several different retailers who ship. (Actually, many stores do.) I know for a fact that Nancy’s Tea Room will ship internationally. Try contacting them.